Right in the beginning of your affiliate marketer journey, there are quite a few decisions to be made. One of them is whether you build your business on an own website or not. Although it is basically possible, I do not recommend to start affiliate marketing without a website, for several reasons. The most important 5 ones, you will find below! 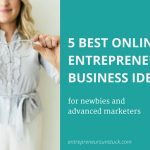 Online business without online presence? Is an own site (website and blog are synonymous in the following) really that important to make an affiliate marketing business work? I just can’t stop thinking about why this question is still asked by so many newbies over and over again. Isn’t it much too expensive to buy a domain and hosting for a website? Quick answer: Absolutely not! Those early days of expensive domain purchase and site hosting are long gone. Today, a domain costs you around a $10 per year. For hosting you should avoid the cheapest offers because they could cause some inconvenient limitations in the long run. But a professional hosting that can cover your growing business in long terms, costs not more than $100 per year. Isn’t it much too difficult to build a website? That’s another huge disbelief since the creation of a fully operative, professional site is really no rocket science anymore today. There are plenty of user-friendly website builder and some of them make the technical set up of a website an issue of less than a minute. And if you create a blog, for example, content management systems like WordPress make it very easy to contribute content to your blog. And for the overall design of your blog, you can choose from a wealth of themes that manage your design almost hands-off. With the right set of these tools, absolutely everyone can create a professional site with great content, all without any prior knowledge. Why build a website when I can start right away with affiliate link promotion? Some people think it’s a devious route to first build a blog and then promote their affiliate links there. They want to take the shortcuts to quick commissions by only promoting their affiliate links right off in social networks, forums, comments or paid ads. Unfortunately, these shortcuts often times lead you off track, at least when you want to build a scalable long term affiliate business. Affiliate marketing without an own site tends to be tough and not very fruitful. In the following, you can find some of the top reasons why. Once you have chosen your affiliate programs and products, next step is to put your affiliate links in front of a relevant group of people interested in the products behind your links. Now your “offsite journey“ begins. Those channels, that are normally great complements of your main website traffic streams, have to become your pillar traffic streams (in the lack of an own site). These are, for example, social media, forums, guest blogs, PPC campaigns or other ads. Affiliate marketers who go the “no-website-way“, often end in posting like crazy on relevant Facebook group walls and timelines. And they flood several other social media platforms or forums with posts or comments promoting their affiliate links. In total, very much effort to spread your links for only little results in conversion. Another offsite way is to buy ads for promoting your affiliate links. Facebook ads might be a quick solution, but an own Facebook page is required for that. 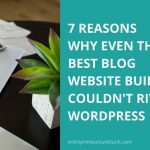 So you have to set up some kind of blog here too (although your own blog offers you WAY more functionality and advantages than a Facebook page!). I don’t say Facebook ads don’t work. But I see them in addition, not as a substitute for own website promotions. Some affiliates invest in PPC (Pay Per Click) campaigns. But the wide-coverage PPC model of search engine No. 1 (Google‘s AdWords) is no option since Google doesn’t allow affiliate links in AdWords. Quite a tricky thing to do affiliate promotions without a website, right? But an own website means a lot of work, too! 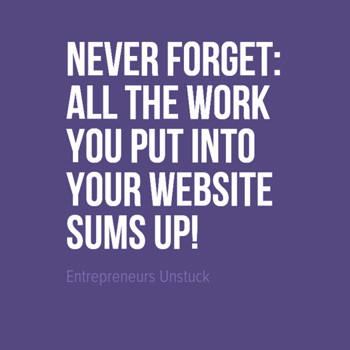 Yes, you have to put a lot of work into your own site! But in opposite to the time consuming unfocused shotgun strategy above, your work on your website sums up. Whatever post or page, whatever tutorial, video or podcast you create, will be saved in one place, forever. That place is your site. While your posts on Facebook group walls act like one hit wonders (lost forever after some few hours of presence), your own blog posts or pages will remain visible for both, your audience and crawling search engines. Each page or post on your site that gets indexed in the search engines, has the potential to deliver you fresh visitors each and every day – for free. Why do search engines send this organic traffic to your blog for free? Because you offer helpful, captivating content on your site that fits the questions or search queries users type into Google’s or other search engines search bar. The more useful and unique your content on a page or post is, the better your chances are to achieve top rankings in the search engine for the search terms related to your posts. Your posts among the first spots in the SERPs lead to a good percentage of users clicking through to your website. That way, good content you created once, will bring you free visitors over and over again for a long time. This organic traffic is not only free. It can also be targeted very precisely. Let‘s take a Facebook example again: Of course, you have some options to break down your target group there. But whether you post in relevant groups or make use of Facebook ads, your opportunities to target your audience are always very limited. And even if you find a Facebook group or a forum with a high matching of your targeted audience: In these places you are always surrounded by loads of people posting their affiliate offers there too. Let’s be honest: Many Facebook group walls are nothing more than an affiliate link stuffing board. How do you want to stand out with your postings there? This combination – low targeting and high competition – can be found in many other online places “non-website“ affiliates try to promote their links. I think many attempts to catch up someone relevant, do just fizzle out there. With an own blog, you have none of these troubles. With your site’s branding and content, you can make your audience as specific as you want. Just define the niche you want to help people with useful information in. These useful contents combined with some proper keywords bring in your perfect match visitors in automation. While some people aim for flying below Google’s and other search engines radar, I always say why leaving out this huge and free source of reliably targeted traffic? Of course, Google’s ongoing changes in algorithms frightens our whole industry. But let’s face it: It’s not only Google who seeks for websites with unique, super duper relevant helpful content to place in top rankings. 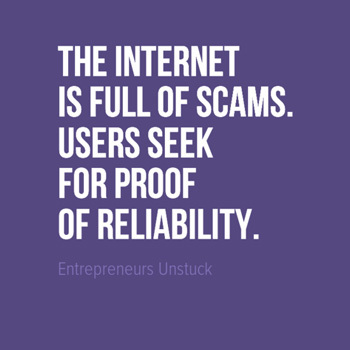 In times of a very crowded, scam loaded internet, online users seek for the same high level of quality! So, even if you don’t like serving Google – you have to come up with a good source of quality content anyway, as long as you are depending on real people buying something from you online. And what’s a better source of quality content than a site that takes full advantage of Google’s power in the SERPs for free? Reason 4: where should people investigate your trustworthiness? The online industry offers great opportunities to make huge amounts of money. Unfortunately, there is a growing ratio of people who try to monetize the internet with not legitimate methods. This fraudulent infiltration of the internet has huge impact on the user behavior. People who search for some information or help online, need to see some proof of integrity before they can trust your offers. It’s simply a fact we have to face: Suspicion is on the agenda and I am convinced that it will grow even more in the future. Due to this suspicious atmosphere, there are many affiliate programs that require having a website in place, if you want to join them. Without a site, you just limit your freedom of choice. I have seen tons of more or less shiny online offers promising me fortunes. But these promises were worth zero to me when I didn’t find some reputable site of the people behind that offer. I don’t say all affiliate products promoted without a website are scams. But how should users detect the legit ones, if they find nothing else but short promotion posts in social media that link them directly to often over-exaggerated sales pages? People want to know who the person is, that recommends or offers a product to them. Where should they find the 101 on YOU? I could go on and on with more tangible, trust giving aspects a well-established blog can offer to you! And again, your website is not only the home reference you can link to from social media or forums. With it’s well-created content, it gives the search engines reasons to rank your blog posts high, which results in free targeted visitors coming to your site over and over again! 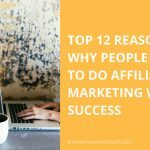 But let’s face the bad news first: If you do affiliate marketing without a site, there is not really a place where you can store all your efforts of product promotion. You post your offers in several different off-site places with most of them having a very short half life period – posted once, gone forever. Some may say they don’t need a website since they do all their promotions with email marketing. Indeed, email funnels are performing great for affiliate marketing. But where do you get your subscribers from, without an audience? You simply need a good amount of valuable subscribers do to make a decent income from, in the long run. Shot from the hip email capture models (squeeze pages with subscribe-now-baits but no tangible trust giving authority behind) will be phase-out models for suspicion reasons above. And buying an email list is a very risky thing because you never know what quality and relevance the email addresses have. But what if you decide to make one particular online spot (YOUR WEBISTE) the hub of all your valuable content, which you can refer to from any off-site channels (social media, forums, guest blogs, etc.)? Like I mentioned at the beginning of this post – all content you contribute to your website sums up in assets. You create value once (great content) to provide it in one spot forever. What begins with some first articles, sums up to a wealth of helpful information on your site. Users can find and come back on you anytime to learn (and buy) from your place. The search engines like to chew on your site’s content over and over again (to your advantage in the SERPs). 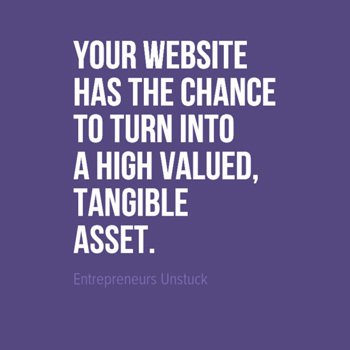 And with the growing authority of your site, there is another very interesting audience showing up: Investors, calculating the overall value of your profitable website. Yes, all the persistent work you put into your site can one day be treated like a very valuable property in a popular place. Don’t get me wrong: I don’t want to push you to build a business for selling it. But isn’t it a great feeling to know you COULD sell it as a very valuable asset, whatever might comes your way? It’s rather obvious that I am a huge fan of driving affiliate marketing based on a website. I don’t say you can’t make money without a site in affiliate business. But I think with a good site in place, your opportunities to leverage your business are tremendously higher! I really hope you have found some good insights here. What is your opinion about websites and blogs in affiliate marketing? Are you doing your business with or without a site? Please leave your comments below, I am always curious about what your thoughts are! Hi Vera, you give proper arguments for having a site in order to start affiliate marketing. Frankly speaking, I was not aware of possibilities for doing it any other way. I see that it is possible but as you nicely describe, with a site it looks much more like a real business. In particular the items 3 and 4 are important. Being in good terms with search engines is crucial, and indeed it is a lot about trust. But it is tough in any case. I know it from my own bad experience. Thank you. thanks for stopping by! It really is all about creating a platform made of value, if you want to make it in this crowded business in the long run. Like you say, it’s demanding lots of persistence and patience, but it’s really worth the grind. Would love to hear about your progress! Great review, and also smart 5 reasons to have a website. I have tried affiliate marketing by running ads in online classifieds. I got some hits, but made no $$$$. I have gotten smarter over the years and realize that affiliate marketing is a big business. I think the WordPress sites are impressive and the blogs of content are exceptional. I just wish I had known this many years ago when I started out marketing online. What we all have to learn is, without visitors we have no business. How long have you been in affiliate marketing? I really like your site and I have bookmarked it so I can return and see what is new from time to time. thanks for stopping by! You are so right about what great opportunities technical progress is delivering to us! For almost anything you can get some kind of user interface to create or build it online. This offers us so much freedom and autonomy in building our own online fortress! All the best for your online undertakings! Affiliate marketing is definitely a proven and legit way to make money online. But there are many programs that teach people to do affiliate marketing without a website which is a totally ridiculous claim. If you don’t have a website it means you have no place to engage with your audience and build relations with them which is the key to your success online. I agree with the rest of your arguments and believe your readers will benefit a lot from your article. thanks a lot for your comment, much appreciated:) Yes, many folks try to lure new people into some kind of lazy way into affiliate business. Seems like it is tempting for many people to think no website efforts needed. Next their heavy link promotions in social media lead to no significant results. They give up, before ever having the chance to see how promising a well established, real affiliate business can be. Too bad! Great advice for marketing newbies. 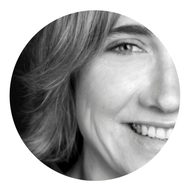 When I first started I was e-mail marketing, and it was tough. All of my traffic came from either social media (lots of work) or paid solo ads (not always trustworthy). I would rely on the subscribers to a) stick around on my list and b) to make purchases. It became a number game, but the numbers didn’t really add up for me! I now own a website and I have to say that getting free traffic from Google feels pretty good. The site is always there, so there is always the chance that someone will visit any time of the day – especially with 7 billion people running around on the planet. thanks for calling in here! And thanks for your honest insights of your first experiences with email marketing in combination with social media, it simply is backbreaking work to start out that way. Congrats you chose the website-way to enjoy free traffic streams! 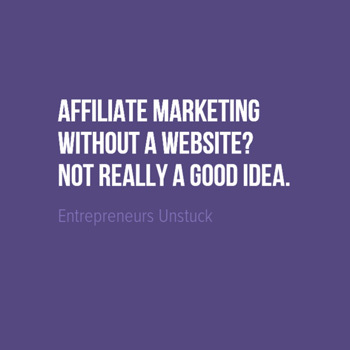 You offer up many tangible reasons why affiliate marketers need a website. Yes, affiliate links can be placed in social media, forums etc, but an affiliate really needs his own web presence to send people to and to give themselves some credibility. Why should anyone trust the opinion of an affiliate marketer who can’t even be bothered creating their own site? Nice post. Good info there. yes you say it, tangible credibility is a very important thing nowadays. A website simply is a perfect platform to show your legit intentions. I have been making an income online using my blogging and affiliate marketing for quite some time and I have to say affiliate marketing is the best way for beginners and seasoned bloggers to make money. And yes as you said, having a website is a MUST. Having your own domain is also important but not necessary. thanks for your comment! And thanks for confirming the website-way into affiliate business form your own experiences:) Big things – and that’s what an affiliate business can turn into – simply need solid foundations!